Thank you for the posting. It's a revision for me. I learned a lot from your blog previously in making salwar. I made it and it looked fantastic. Have been following you for many years now. On and off blogging so it's not really a constant activity. But now I am back into sewing. And it's such a motivation to have read blog like yours. Madam, can you please give draft for jewel neckline frock. Is jewel neck line and yoke neck are the same? I need turtle neckline frock too. A jewel neckline is a high round neckline made with or without binding. It is the basic neckline used when drafting standard bodice pattern. Is this method same for children and babies. Please advise. I find your instructions for drafting easy to understand. Thank you for posting all your knowledge for us to benefit from. When you have time, can you please post a lesson on how to draw and sew a lab coat? i love ur writting .I have just finished a kurti according to ur blog but that is having problem in bust area .its not getting fitted on armhole point. (after joining arm n armhole for 42 bust)what should i do? Hi Anu, check weather scye depth of the bodice is equal to B-c of the sleeve.Pin middle point B of the sleeve Pin edges of the sleeves to the edges of the armhole keeping right sides together.Start from the middle point and tack the sleeves and armhole together stretching the tight one a little bit.do the same thing for the other side also. Hi Vani, how is your mother? My mother is under medication. We have employed a care taker.She will be with her all the 24 hours.She remembers all my other 7 sisters expect me.She talks to me as if I am a stranger to her.I am managing her.From past 30 years She is staying with me.In the beginning I used to get depressed.Now I have come to terms.I pray God not to trouble her any more.My mother is a very intelligent lady,She has done a lot to us. So sorry to hear about ur mother. Hope she gets well. Today Alzheimers and dementia are becoming very common. Your blog has been my biggest guide. Thanks for all your efforts. Dont be depressed that she has forgotten you. You can always talk to her about some significant events in the past and try if she remembers. Though it may not work at first, it might give some results. Lets pray god and hope for the best. HI mam, where do you get fabrics to stitch in bangalore. I'm very new to sewing. Dear Vani mam,your blog is very useful. 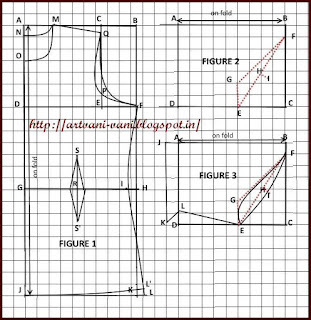 Dear Vani, thanks for sharing, this article is very educative and i planning to apply on my fabric but there is a line where you said "1/4 SEAT +11/2, I don't understand what the seat measurement is? So please can kindly explain that to me; I am a complete novice to sewing. Many thanks in advance! Namaskarams! I wish to extend apologies first and then heartfelt thanks. Briefly, I'm 64 and having lived a very busy professional life, now trying to find peace and happiness through pursuing some of my hobbies which I'd given up. Apologies because I felt a slightly offended feeling when I saw your site did not allow downloading facilities etc. 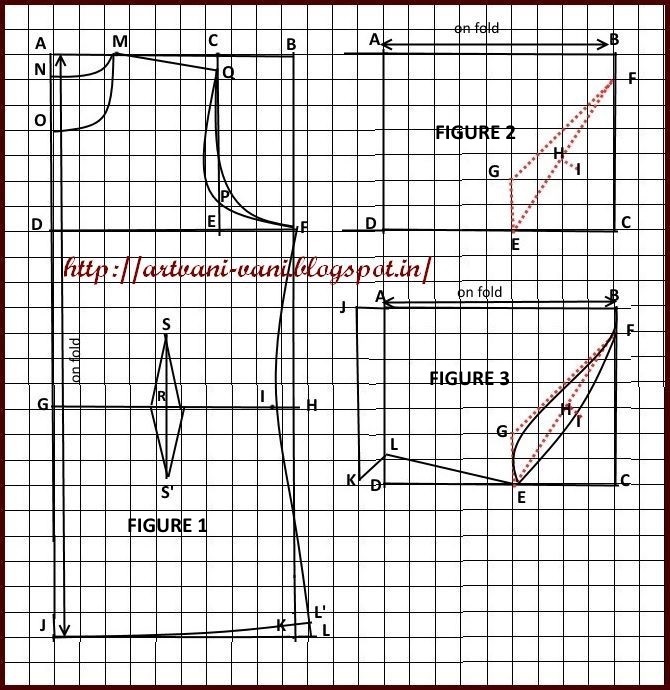 But as a mathematics student myself, I've been searching for a perfect, mathematically sound drafting techniques for dress making. there are innumerable Youtube videos. But nobody was convincing with the calculations while marking the pattern. Today, while drafting a pattern for my granddaughters, I revisited your blog site and drafted the pattern as per your clear instructions. As soon as, I finished drafting the pattern, the first thing was not to rest my aching legs but to send you a message of gratitude and appreciation. Thanks again and please, please keep the good work going! Keep good health and peace. May God bless you!